We won't get any help from billionaires or SuperPACs. We need activists like us to step up. Please donate generously now to reelect our Advisory Board Members. 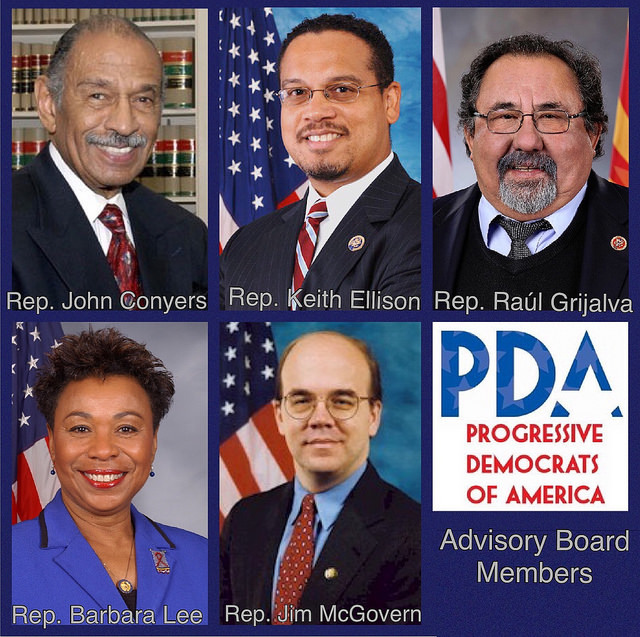 Progressive Democrats of America (PDA) is honored to have five courageous, principled, and thoughtful Congressional leaders on our National Advisory Board. CLICK here to donate to our Advisory Board Members. We hope you will join us in supporting them for reelection to Congress.